Our garages perform many great solutions to meet the needs of the average family. They store the vehicles. They act as a place to keep tools and even unused household items. They give us space to do hobbies and crafts. Sometimes, they give us a corner to do laundry or keep our trash cans. They act as an entrance and exit for 60% of the population. While they aren’t the hub of social interaction, they offer essential features which make upgrading the Tampa area garage a wise investment. Today, we’re going to talk about some of the things which will improve a garage area to increase it’s practical and aesthetic value. Perhaps the most essential function of the garage door is that it acts as an entrance and exit. By extension, it provides security and protection for family cars. None of this is possible or practical of the garage door is broken or poorly maintained. So, keep it working by testing it often and having it maintained regularly. One of the functions of the garage is to provide secure, organized storage for household items which aren’t currently in use. By far, the easiest and most practical way to keep a garage organized is through the use of storage. Boxes tend to be unorganized, unattractive homes for vermin and insects, making shelving, garage cabinets and overhead storage an excellent investment. Garage storage solves many problems in a garage. Epoxy flooring is a highly favored upgrade among homeowners. It’s attractive, it keeps the contents of a garage clean, and it prevents the garage floor from damage and cracking. Epoxy comes in enough colors and styles to keep everyone happy, including flake, metallic, glitter, and quartz in addition to solid colors. Lighting in garages is characteristically dismal and unsuitable given the number of tasks performed by and in a garage. Garage lighting offers a significant improvement in a garage compared to the amount of money it costs to make the lighting in a garage magnificent. Upgrading the garage can make it a clean, tidy, well-lit, well-functioning space for whatever needs a homeowner may use it to fill. Whether you decide to paint the garage door, or the garage interior depends on if you’re looking for curb appeal or looking to upgrade the interior. 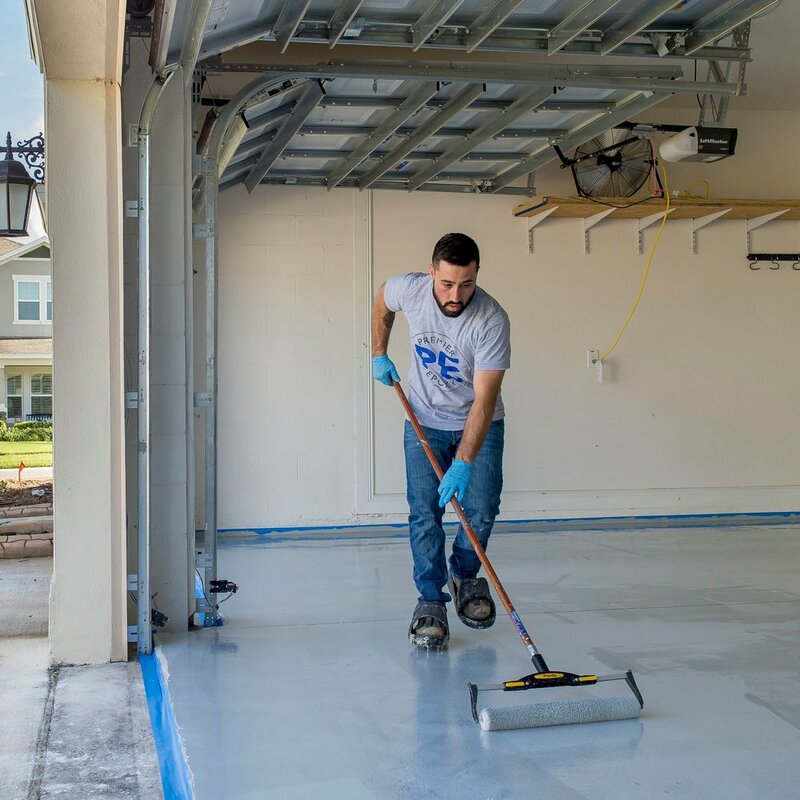 Some homeowners want their garage to be a place where they can spend large amounts of time, so they will drywall and paint the interior to make it into a more comfortable living space. Regardless of what type of upgrades you decide to do to your garage will be determined by what you and your family use the area for and how liveable it should be to meet those needs.